My post on opera’s missing audience development gene ended up getting some viral pickup. One particularly interesting follow-up resulted. I got a card in the mail from a group I’d never heard of before called On Site Opera. They are one of the many smaller companies in the city that do smaller, more innovative productions. In their case, they produce lesser known works in various venues that they source around the city that they feel are particularly appropriate, then embed the audience into the performance. Hence the “on site”. They are doing a three year series of alternative settings of Beaumarchais’ famous trilogy of plays. 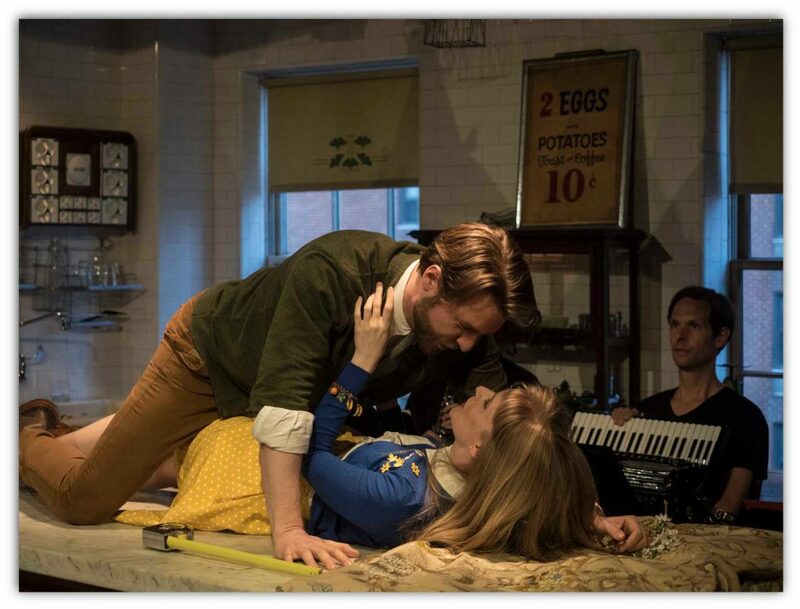 This year was a version of the Marriage of Figaro by Marcos Portugal, staged in a West Village townhouse that served as Count Almaviva’s manor. They sent me a card inviting me to the event, along with a cocktail reception beforehand. There was even a nice handwritten note from the General Director on the back. Aaron, are you saying that they gave you free stuff and now you’re writing about them? Yes, yes I am. I want to point out the pretty savvy marketing that went into this. First, reciprocity is one of the key principles of persuasion, hence the idea that you have to “give to get.” They obviously understand. That’s one reasons book publishers give free review copies to people, and critics often are able to attend performances for free. So far, this was just standard operating procedure (in case you didn’t know). But they also clearly saw that my original piece hit a nerve, and saw an opportunity to both promote themselves and to try to create a loyal patron in the form of Your Truly. Obviously being small gives them the ability to do things that big companies can’t. But I want to highlight some things about their superior marketing techniques. One comment left on another site about my piece was from someone who said she donated thousands of dollars per year to a particular opera company, but didn’t feel appreciated. She noted that this company insisted on scanning her donor card every time she used their patron lounge. For the average guy like me, I don’t expect major organizations to personally know me, but you’d think even the biggest companies would treat people who donate thousands of dollars per year like a name not a number. (Front line personnel at major opera companies often actually pull this off. The bartenders at the Met and Lyric do a good job of recognizing regular attendees, for example). At On Site, however, when I got there I was greeted by name by someone who had never seen me before. I happened to catch a glimpse of the papers she was holding. It not only had a list of names, but thumbnail pictures of the people. They must have googled me up and downloaded a pic, along with everybody else too. Little things like this make an impression. The General Director also multiple times mentioned that the show had sold out in three hours. My date asked why he did this. It was no accident. Another key principle of persuasion is scarcity. We want things that are perceived as scarce. It’s another bit of evidence that they know how to hit the levers of persuasion. Obviously these guys have no trouble selling tickets. I think a number of these smaller companies are so popular it’s hard to get tickets. But they aren’t resting on their laurels and are still pedaling hard to get the word out. In my original post I talked about how Tony Hsieh had set out to create a “WOW” experience at Zappos, by doing things like giving out surprise complimentary upgrades to overnight shipping. Well, On Site Opera created a WOW experience for me – they even called the next day to see how I liked it. Am I likely to buy tickets in the future? You bet – if I can get them. I’d be remiss if I didn’t say that the opera was great too. Their approach is highly intimate settings. There were only 50 people there. As we walked in, the performers where mingling and greeting us in character. The setting of this elaborately decorated townhouse (which is an event space at 632 Hudson where I could definitely imagine hosting a party) was perfect. The audience got to be involved at points, such as when they distributed small cups of madeira to toast Figaro and Susanna. 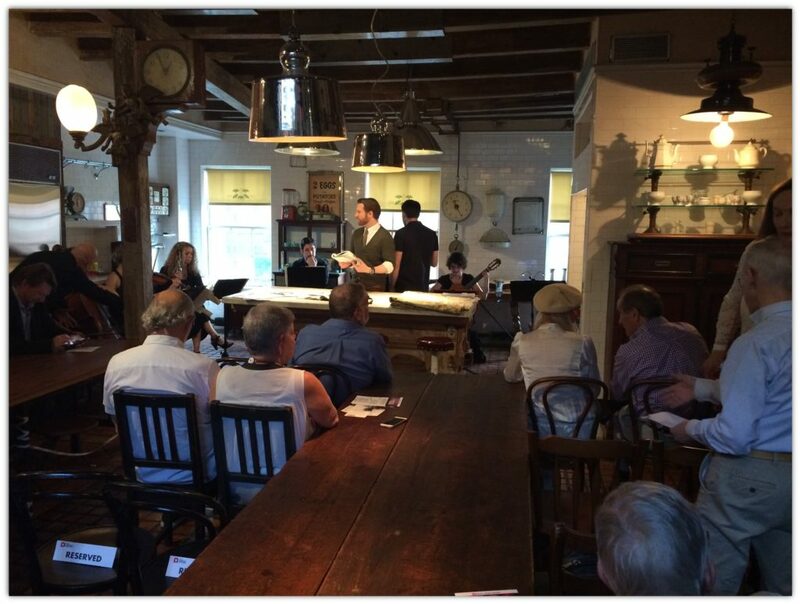 Listening to an opera in a small room gives a completely different, and revelatory experience. It’s sort of like hearing chamber music in an actual salon after only having experienced it in an auditorium before. The plot was obviously familiar, though there was a sense of dislocation when expecting a Mozart aria and hearing something else entirely. This must have been quite an effort to pull off. It’s the North American premier of the opera, so none of the performers knew the parts already. Somebody had to translate it into English, and re-orchestrate it for an eight piece ensemble. That in addition to the ordinary business of putting on a production. For more details on the music, you can also read reviews in the Times and Parterre Box. This performance also highlighted for me another advantage of New York City. It was sponsored by the Portuguese consulate, and the Consul General of Portugal was there. Foreign countries are always interested in promoting their culture abroad, and NYC is the location of choice in the US. The vast number of foreign missions here is a source of funds most cities’ cultural institutions can’t easily access. It’s another example of how the rich get richer.